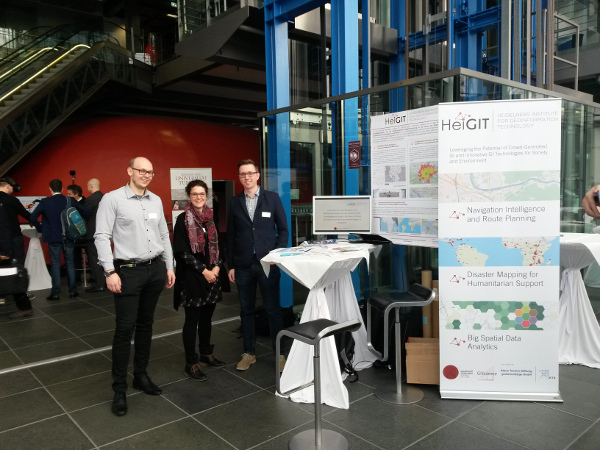 The 10th “Fachaustausch Geoinformation“, a networking event for professionals in the geodata and geoinformation domain organised yearly by GeoNet.MRN, took place in Heidelberg’s Print Media Academy on November 29th. GIScience research group at Heidelberg University and HeiGIT (Heidelberg Center for Geographic Information Technology) presented current research and projects at the event’s exhibition, including the latest developments in openrouteservice, our powerful and flexible routing service based on OpenStreetMap. 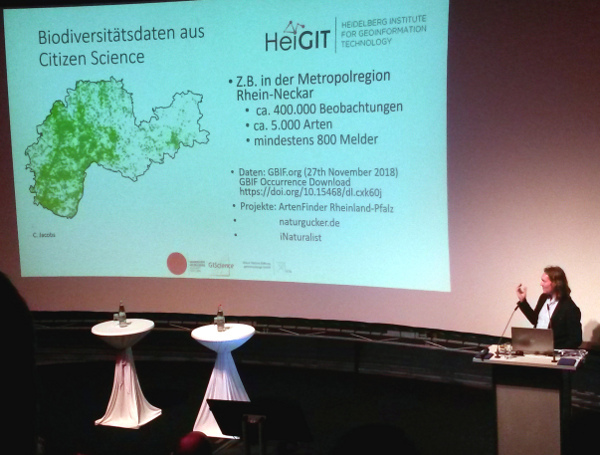 In a keynote, Dr. Sven Lautenbach gave an overview of the application of geoinformation in environmental research. In the “Environment and Sustainabilty” session, a talk by Dr. Tessio Novack presented progress in personalized pedestrian routing. 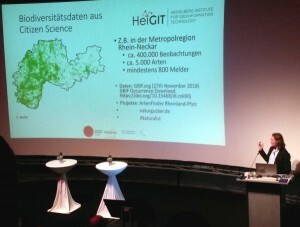 The event provided the opportunity for many interesting discussions and new contacts.